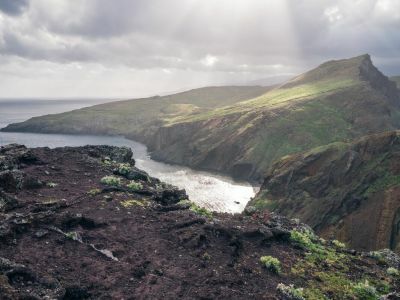 Rising like a green miracle from the Atlantic off the Moroccan coast, some one thousand kilometres south west of Lisbon, Madeira has been a holiday destination since the end of the 19th century. Blessed with a spectacular volcanic landscape and subtropical climate, the island boasts more repeat visitors than any other part of Portugal. Welcome to the Funchal, Madeira Island! Leaving Obidos you could make a 1st stop of the day in the seaside village of Nazare. Next on to Alcobaça visit to the Church of the 12th c. and the Mosteiro de Santa Maria, with the tombs of Pedro and Inês. Manual Car Rental for Portugal Mainland portion of the trip. The architectural design of the four star Pestana Village Hotel and landscaping of its gardens have been especially planned to be in harmony with the natural beauty and tranquility of the resort´s truly village like feel, with low-rise traditional style buildings surrounded by a wealth of colorful and immaculately cared-for gardens. The Pestana Village Hotel offers guests an extensive range of recreational facilities, including a choice of restaurants, bars, a modern health club, exterior games and an indoor tropical garden: the only one of its kind on the island.